At CES 2017, Samsung made clear its New Year’s resolution is to continue to innovate and push forward in all areas of its business, including its wearable devices. So, if your own goal is to improve your health, you might be interested to hear that Samsung is collaborating with fitness brand Under Armour to bring a selection of fitness tracking apps to Samsung’s line of wearables. 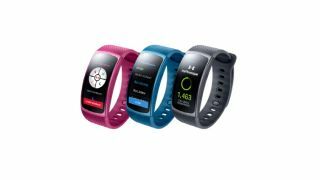 The collaboration will see Under Armour bring four of its health and fitness apps to Samsung’s Gear Fit2, Gear S2 and Gear S3, providing access to Under Armour’s digital community and promising some exclusive features to Samsung device owners. The apps will come together under the umbrella of the Under Armour Connected Fitness suite and will include UA Record, MyFitnessPal, MapMyRun, and Endomondo. These apps cover a variety of fitness tracking needs; UA Record will act as a dashboard for everyday activity with Samsung users having access to map and route displays; My Fitness Pal is the one-stop-shop for nutrition needs, allowing users to track calories and access water consumption tracking and a quick-add calorie tool; MapMyRun will allow you to track every exercise you do whether it’s by foot or bike, indoors or outdoors; and Edmondo will provide a way to create and store custom training plans and share them with others, with both of these apps giving Samsung owners exclusive access to challenges. It's certainly an interesting move, that could give customers interested in fitness a reason to choose a Samsung general wearable device over those offered by other brands. Samsung Gear Fit 2 owners will be able to access UA Record, MyFitnessPal, MapMyRun from January 4, with Edmondo coming later in the month. For Gear S2 and Gear S3 customers, Samsung promises that full access will come in early 2017.